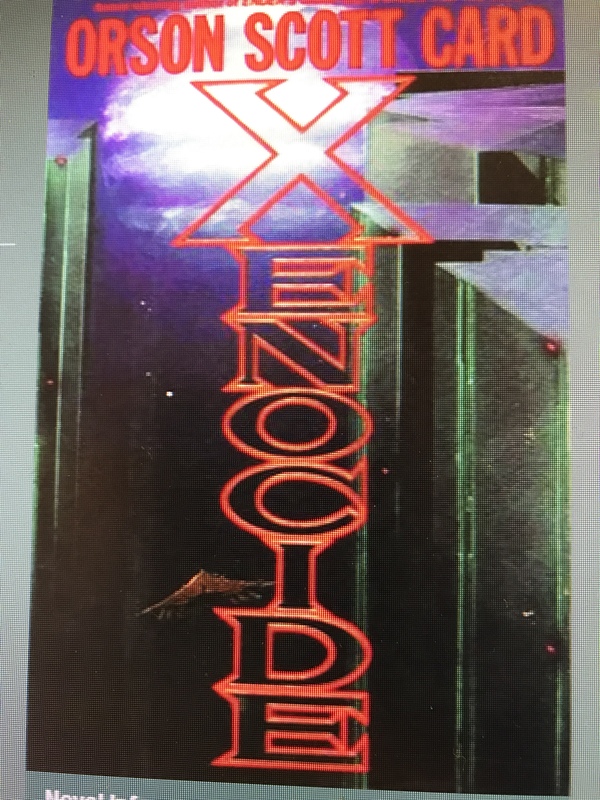 “Xenocide”, by Orson Scott Card, is the third book in the ‘Ender’s Game’ series. I haven’t read this one, or if I did, I don’t remember it. I thought I’d read quite a few of this series in order, but some further down the list, I do remember. 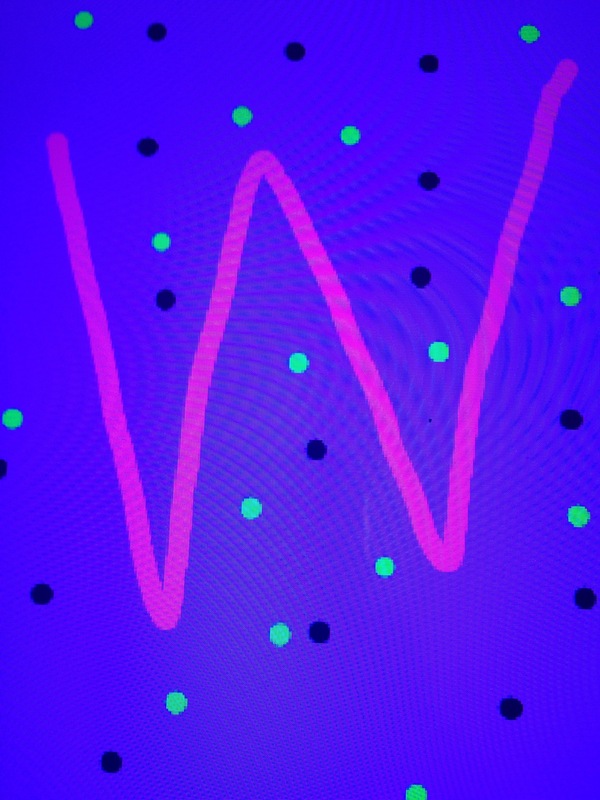 Anyway, the books say the planet the people live on is in peril, and they have recruited Ender, and a lot of other children/teens to become proficient in computer war games, training for the real war to come. 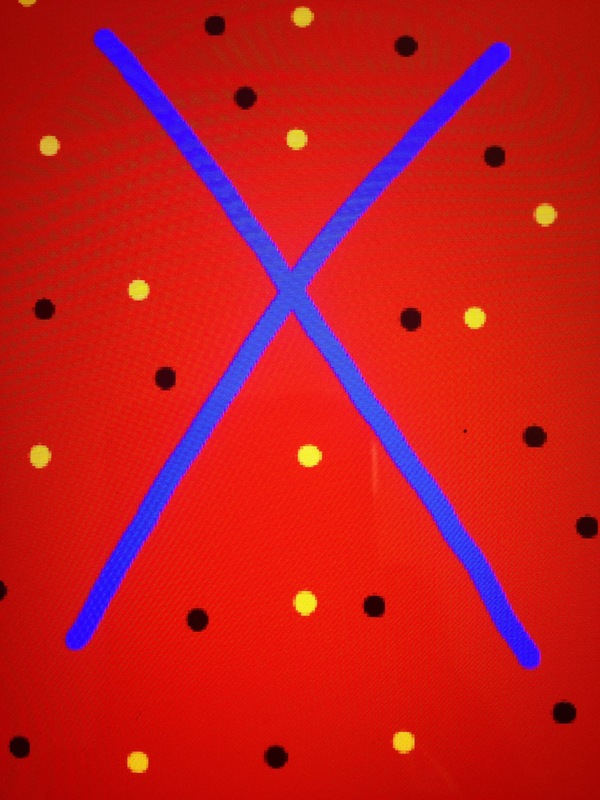 I know , the letter today is X, but lots of times you see the word Xtra, so this will have to do, as I couldn’t find any more book titles starting with X. “Extra Nutty! 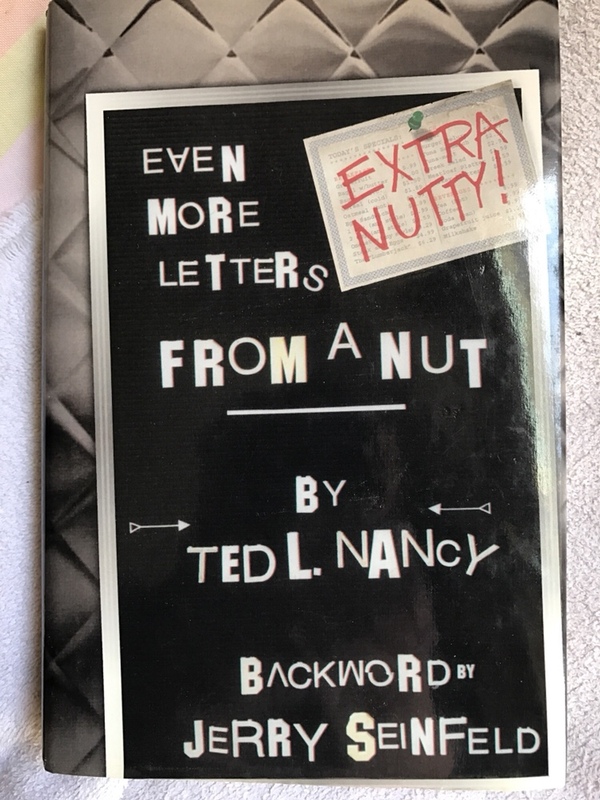 Even More Letters From a Nut”, by Ted L. Nancy, is another of the books he wrote about writing funny, and outrageous letters to businesses. He wanted to see what response he’d get, and he did get a lot. All the letters are in the book, and are so hilarious. 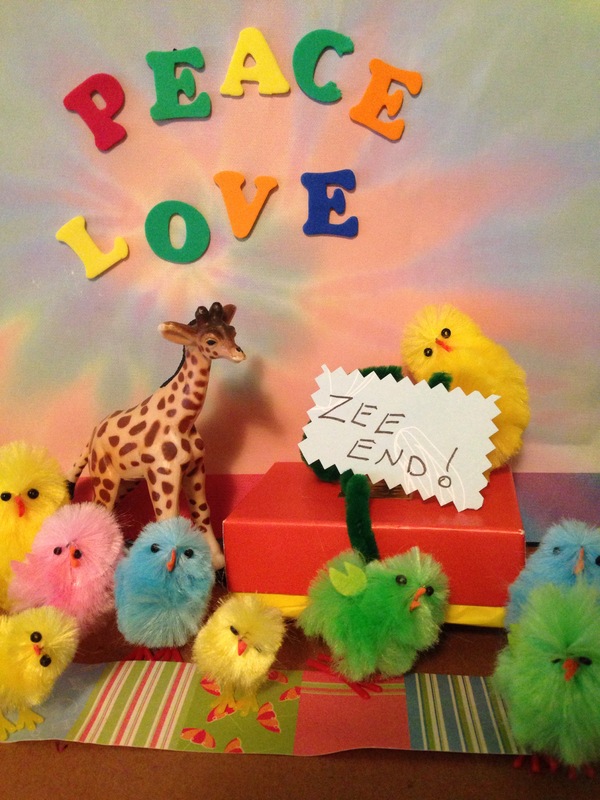 Join the MB Chickens tomorrow for book titles that are ready to pop out with letter Y! 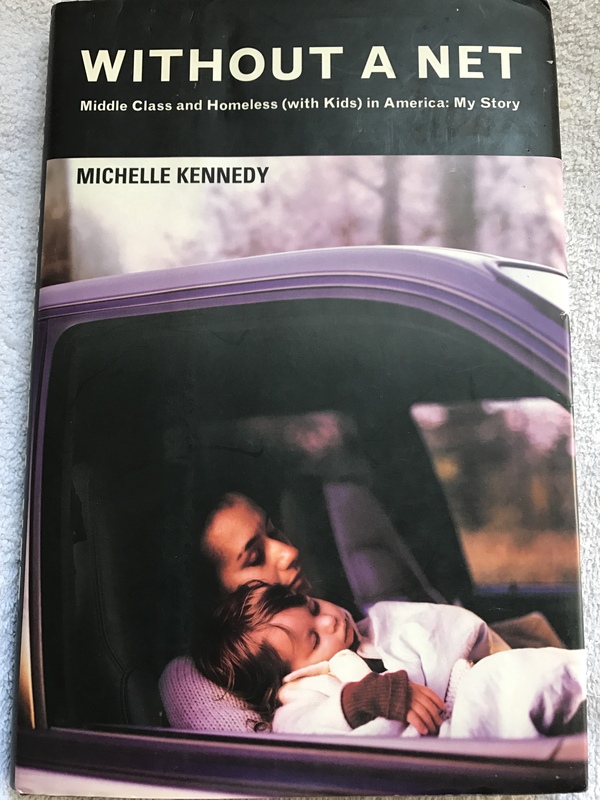 “Without a Net”, by Michelle Kennedy, is her story of how she went from upper middle class, to homeless, in just a few years. At first she and her husband did all right, and they had three children. But, soon everything began to fall apart. After an accident with one of her kids, she’d had enough of their family’s steady decline, and she left her husband. He didn’t seem to care. From there, she struggled to keep her head above water, taking on small jobs, sleeping/living in her car, and keeping her little family together. 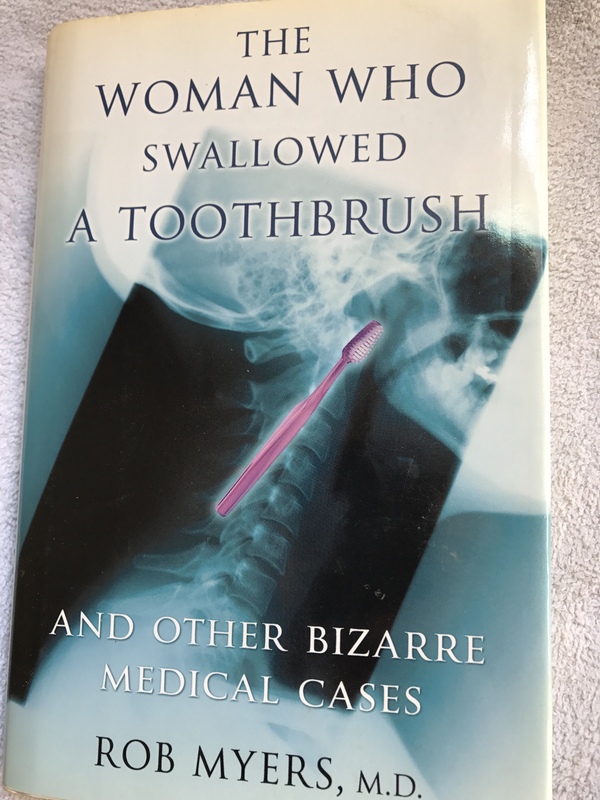 “The Woman Who Swallowed a Toothbrush”, by Rob Myers, M. D., is a collection of 51 strange and bizarre medical cases, taken from leading medical journals. Some are darkly humorous, and others are the result of underlying mental and physical abnormalities. As the author writes, most medical problems are mundane and routine, but occasionally a case will come up that is truly beyond belief. However, these cases in the book are true. The Vampire Lestat”, by Anne Rice is the second book in the Vampire Chronicles series. 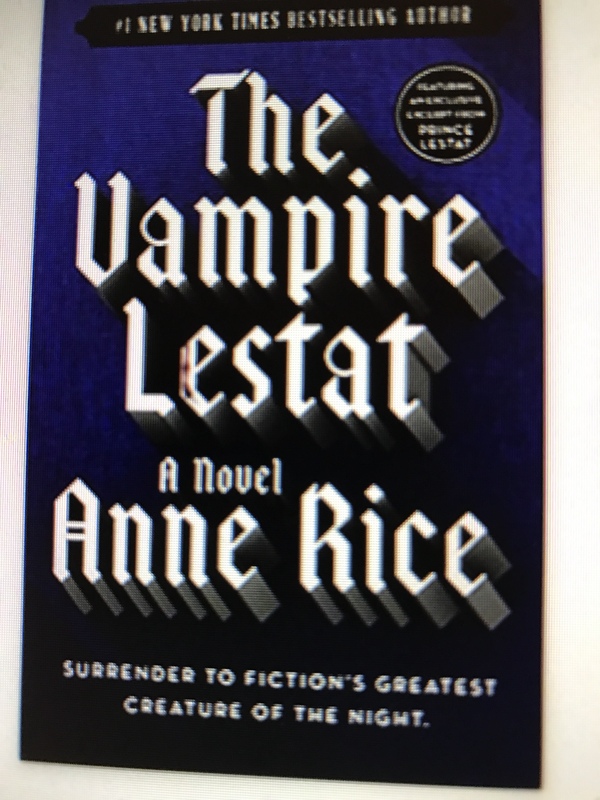 It continues the story of how Lestat becomes a vampire, and what he’d been doing since, up until the year of the interview, (Interview With a Vampire). 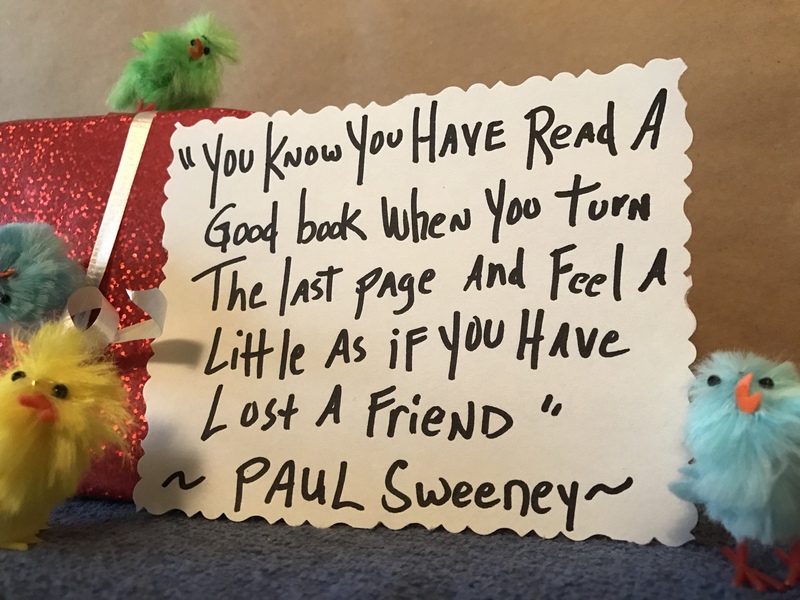 I read the whole series a long time ago, and loved every one. 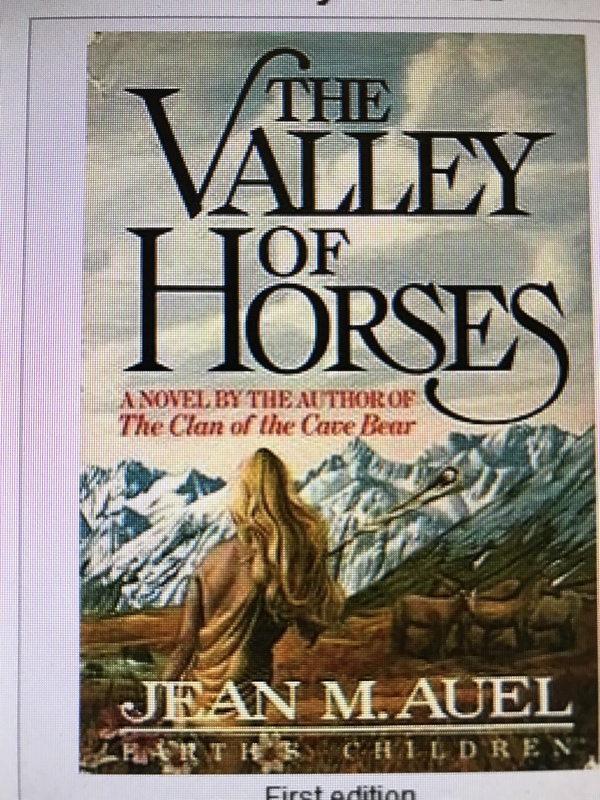 “The Valley of Horses”, by Jean M. Auel, is the second book in the series of Earth’s Children. 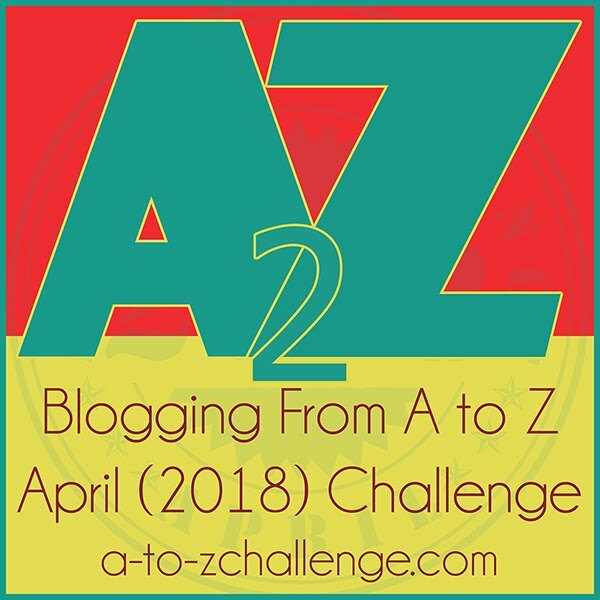 We find the main character, Ayla, has been exiled from her clan, (Clan of the Cave Bear), and she is alone on a journey to find the ‘others’ she has heard of. Meanwhile, the other main character, Jondalar, is on a journey of his own. They meet and begin traveling together, and have other adventures. I read this whole series a long time ago, too, and they were so good. 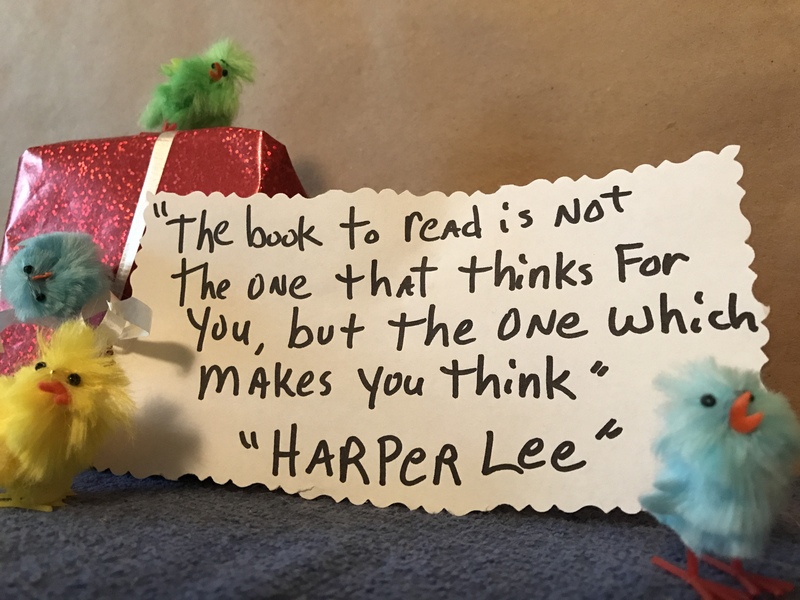 The only thing I didn’t like was that the books came out several years apart. But, now that they are done, it would be easier to remember what happened in each one, when starting the next one. 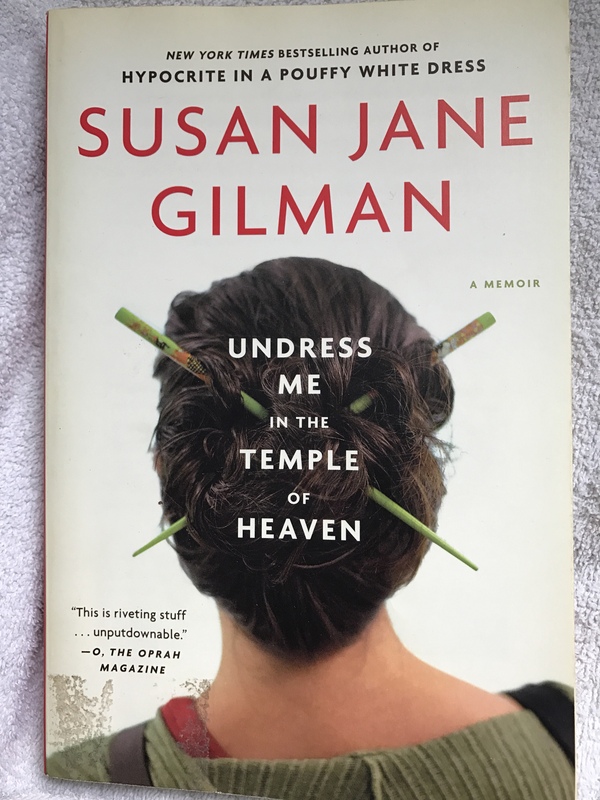 Join the MB Chickens tomorrow for the unveiling of the next book title letter, which will be W.
“Undress Me in the Temple of Heaven”, by Susan Jane Gilman, is the author’s memoir of her and a friend’s journey into China. Their goal was to backpack around the world, but after their harrowing experiences in China, they were lucky to come back alive. This was in 1986, and they found themselves under government surveillance immediately. Detailing their encounters with complete culture shock, she tells all, with humor, yet what they survived were anything but humorous, as they both begin breaking down from mental and physical stress. 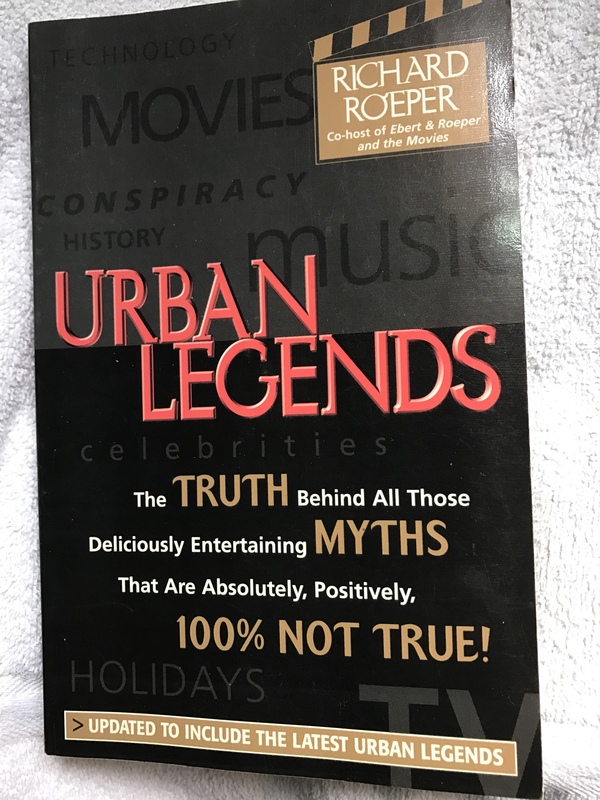 “Urban Legends”, by Richard Roeper, takes a look at many of the strange stories and myths that we hear. Are they true? Outrageous rumors get passed from person to person, and no one really knows how they get started. 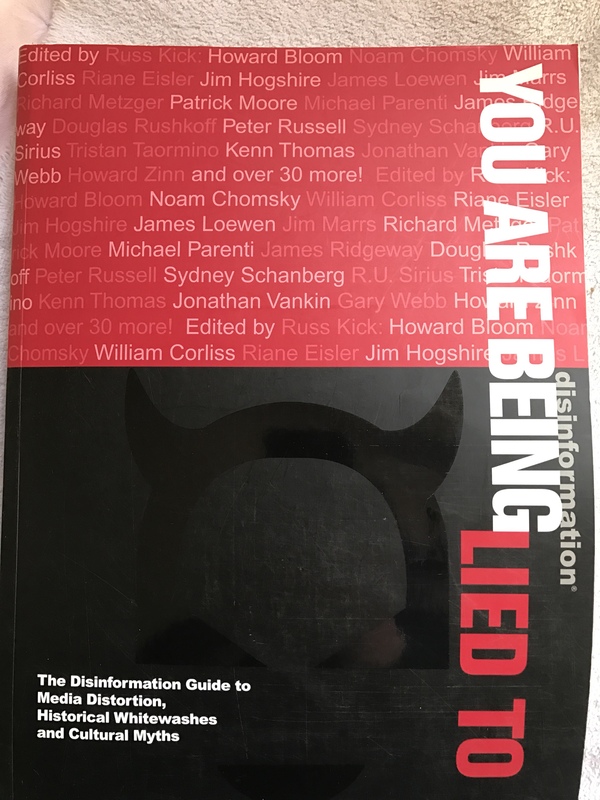 This book tries to debunk the thought they they are real. 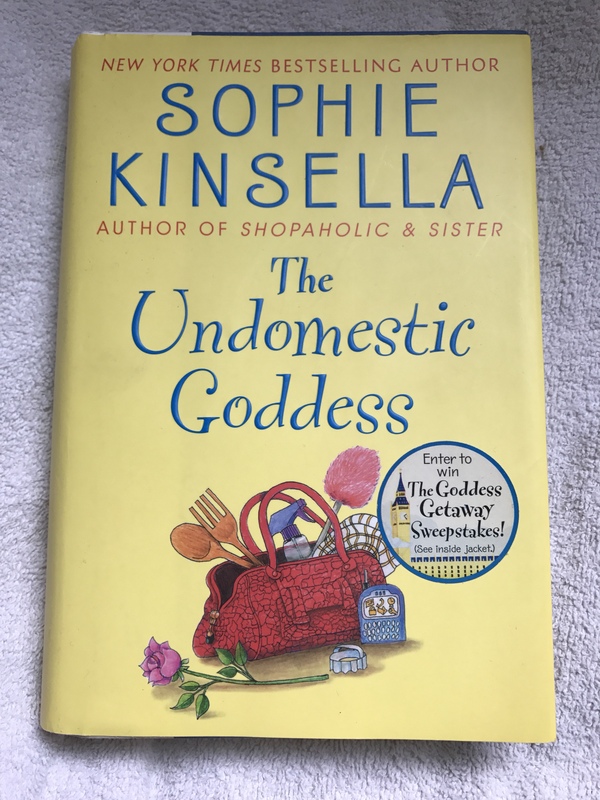 “The Undomestic Goddess”, by Sophie Kinsella, is another fun book to read. 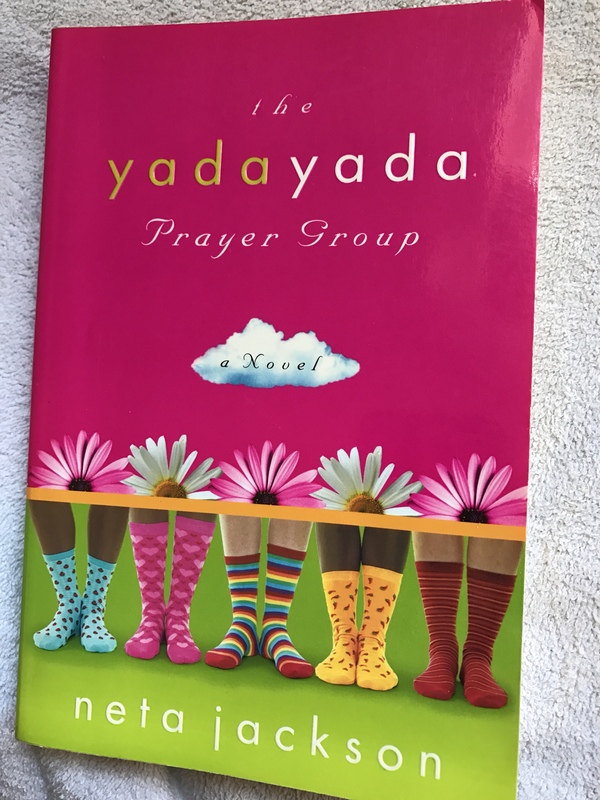 It is a stand alone book, with a completely new character (not from the Shopaholic series), about a lady that mistakenly ends up being a house keeper. Being a career lawyer, she knows nothing of domestic duties, but she does her best to cope. This is a really funny book, along the lines of another fish out of water story. 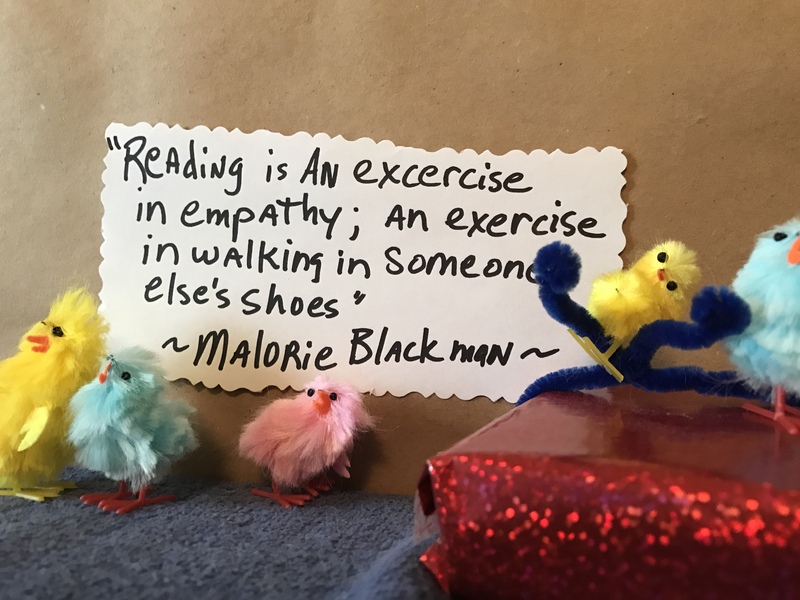 Join the MB Chickens tomorrow for a look into the book title mystery box. 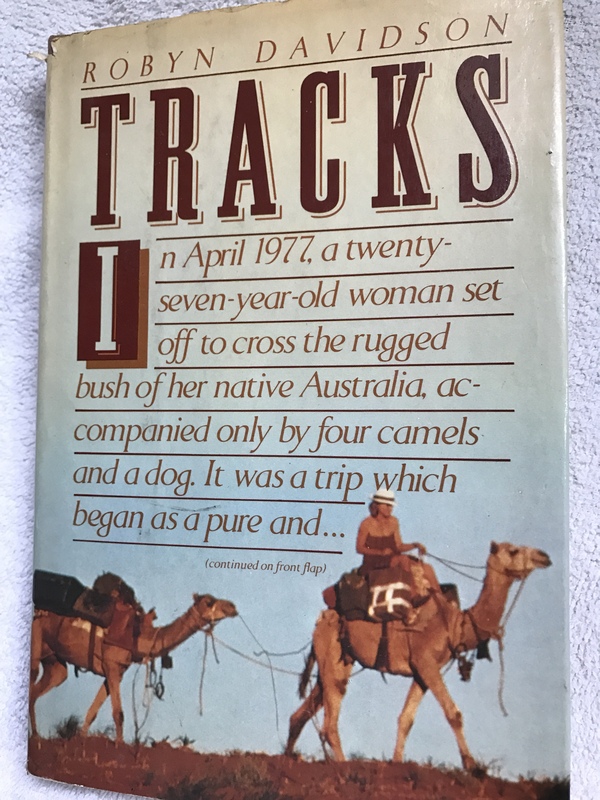 The letter will be V.
“Tracks,” by Robyn Davidson, is the author’s memoir of her journey across Australia, with her four camels, and her dog. Traveling 1,700 miles during the six months of her journey, she deals with harsh weather, unpredictable wildlife, and her quirky camels. More than just a travelogue, she learns that she is capable of overcoming all the obstacles piled against her. 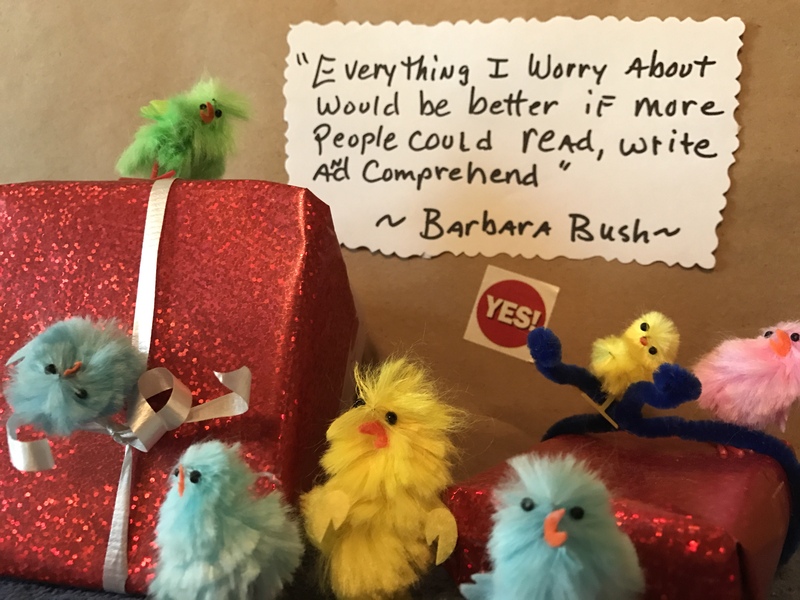 She writes with humor and passion for what is important in her life story. I’ve read this one several times, and was so glad I found a copy of the book to buy, because it is unforgettable. 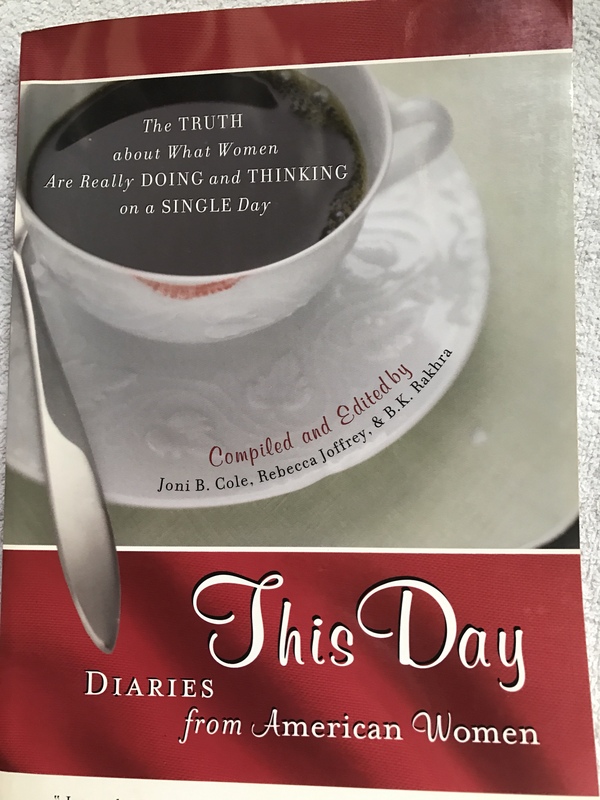 “This Day (Diaries from American Women)”, compiled by Joni B. Cole, Rebecca Joffrey, and B. K. Rakhra, is the culmination of a project. A project to record in writing, the voices of typical American women, relating what their normal day was like on one particular day. They chose a random day, October 15th (year not stated, but the book was published in 2003). 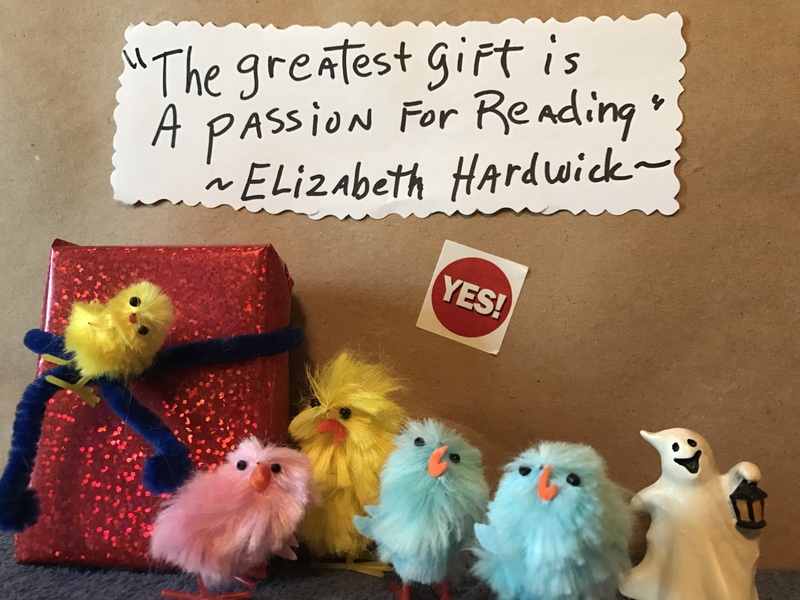 The authors wrote to, called, and emailed as many people as they could about their idea, and it snowballed from there. They got over 529 responses that were finally published in the book. 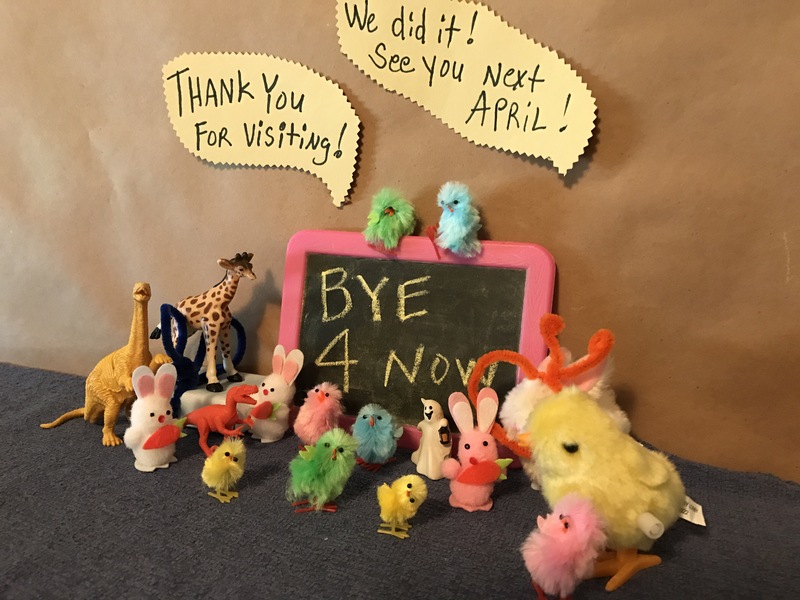 The women participating were from all walks of life, and their short day diary entries told of their day from the mundane, to the humorous, to the serious. Maybe you’ve wondered what other people are doing on a certain day, as you are going about your own business. This book is a look into what these other women were doing, and is so interesting. 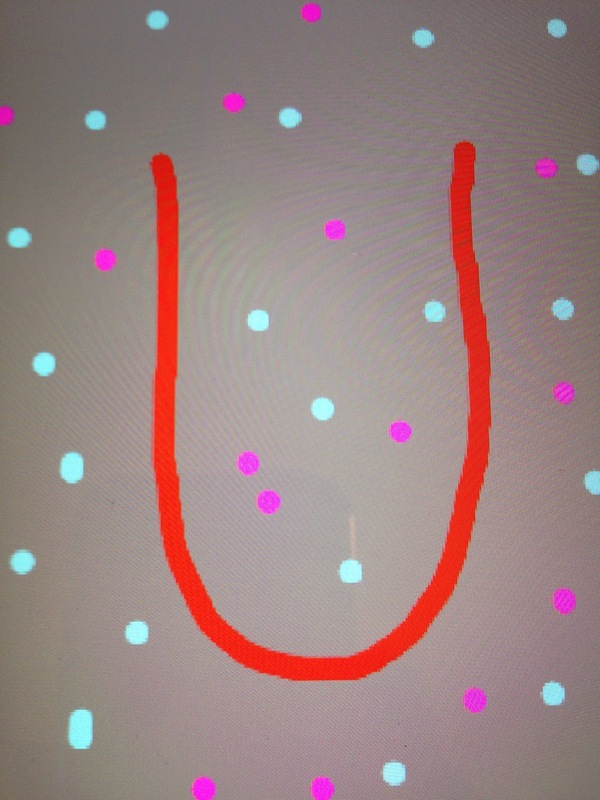 Join the MB Chickens tomorrow for the next book titles beginning with the letter U. 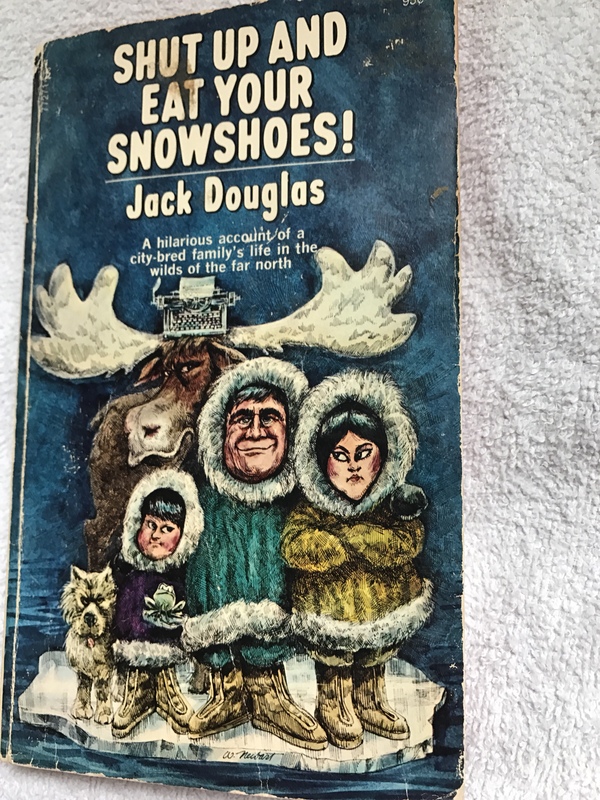 “Shut Up and Eat Your Snowshoes!”, by Jack Douglas is a really fun book to read. I read it long ago, then several times after. The author, his wife and young son, and their menagerie of animals, decide to move from the city, to the wilderness backwoods of Canada. 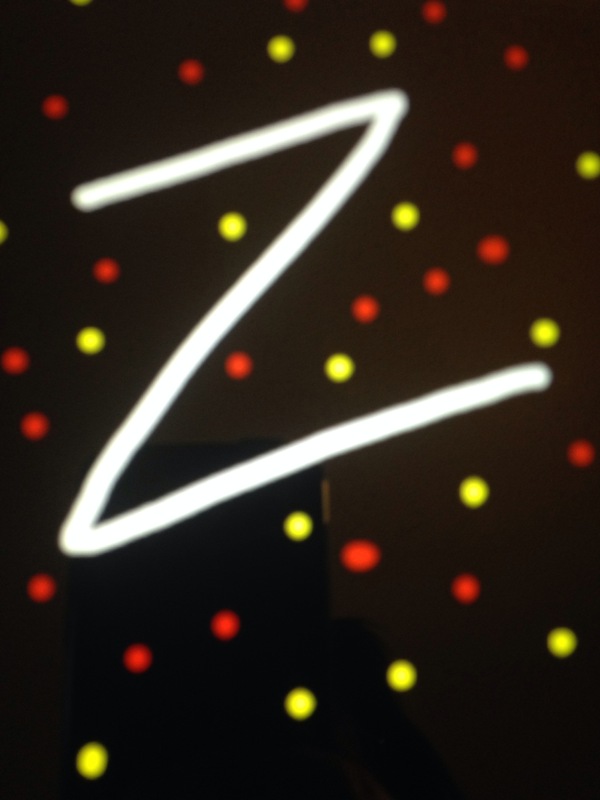 He duly wrote down, in hilarious fashion, all the adventures and misadventures they had. Being city slickers knowing nothing of how things worked out in the boonies, is his true fish out of water story. 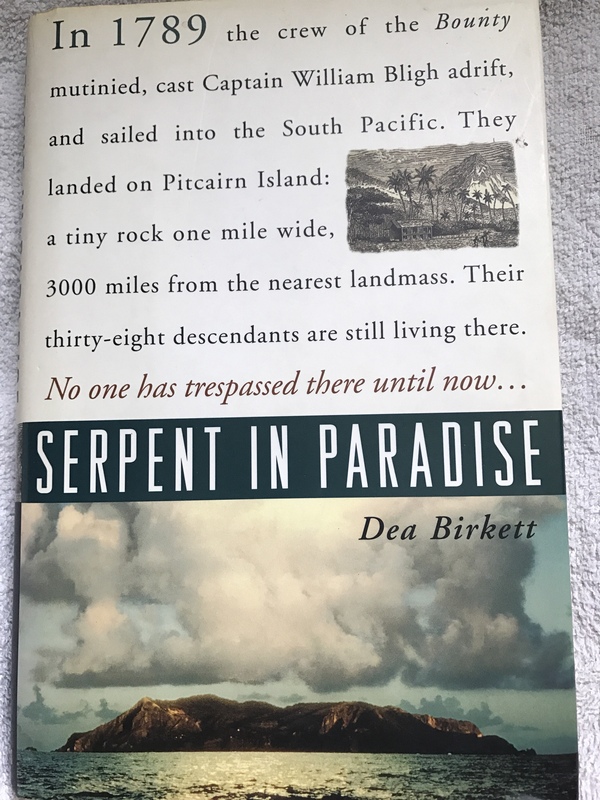 “Serpent in Paradise”, by Dea Birkett, is the author’s journey back in time. She travels to tiny Pitcairn Island, to find out what happened to the ancestors of the mutineers who sailed with Captain William Bligh, on the ship called Bounty. She chronicles her own voyage to the island, cut off from civilization for all these years, and talks with the villagers, while she learns how the survivors managed to live in such isolation, after that ill-fated, and famed event with the mutiny on the Bounty. This book is easy to read, even as it tells the history of the times, but in a personal story kind of way. 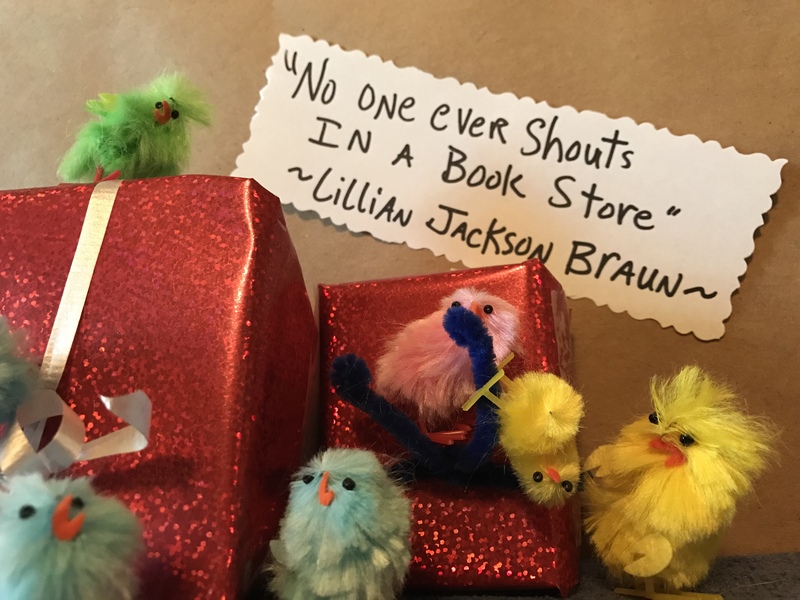 Join the MB Chickens on Monday (no post on Sunday) for the opening of the next book title box. 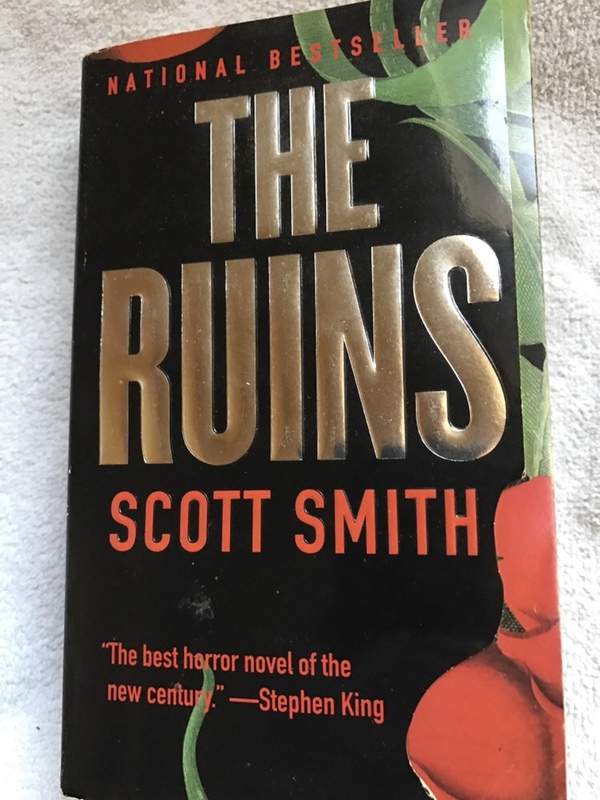 The letter will be T.
“The Ruins”, by Scott Smith, is a book I’ve read more than once, and I’ve seen the movie made of it, and it was good, too. Starting out, we see the characters on a lovely vacation trip in Mexico. 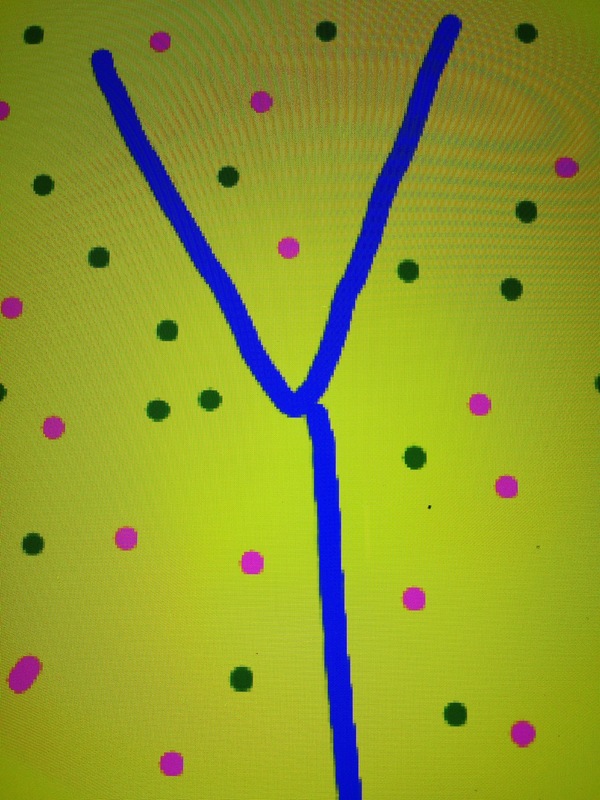 When one of their friends goes missing, they go look for him, which leads them deep into the jungle. They come upon some ancient Mayan ruins, and this is when their nightmare begins. This book is so good, and yes scary! It sure makes you look at your garden plants in another way, after reading this book. 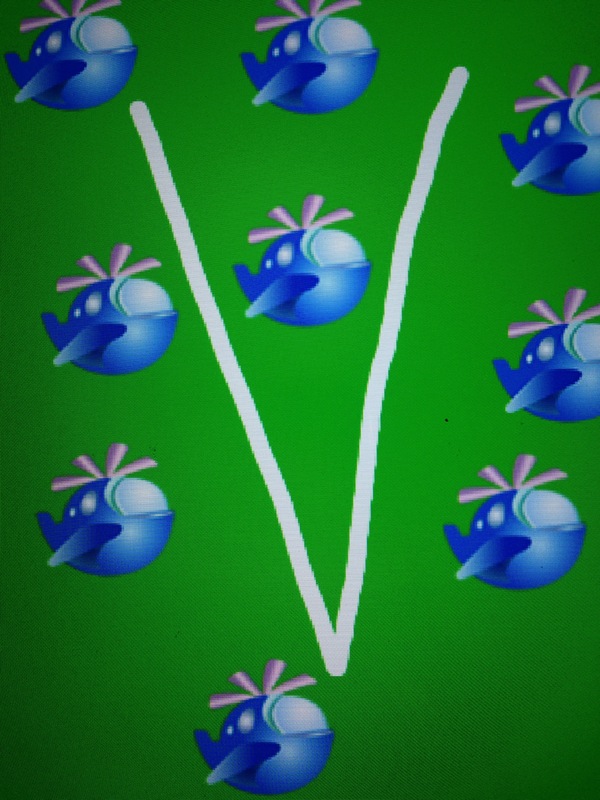 The vines…omg…the vines! 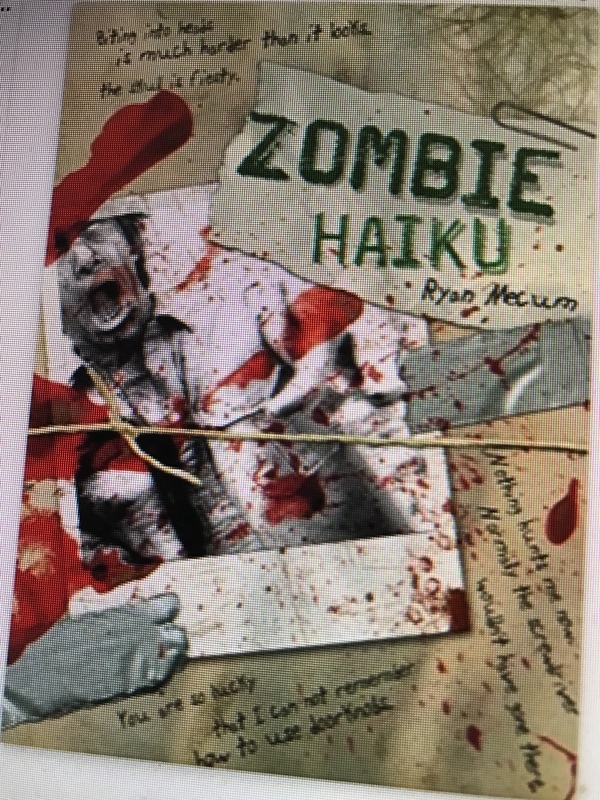 If you like horror tales, check it out! 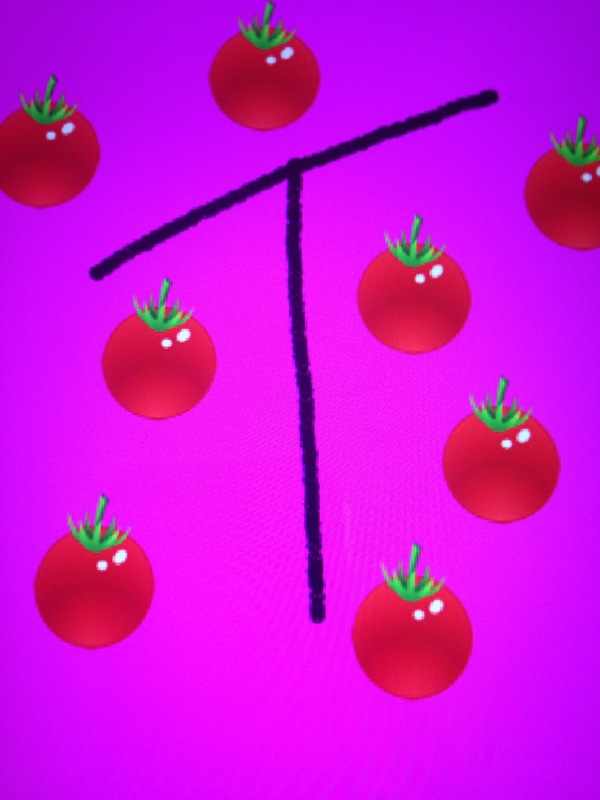 “Roller Girl (Totally True Tales From the Track)”, by Melissa “Melicious” Joulwan, is a fun book to read. It’s all about the sport of competition roller skating, as in Roller Derby. 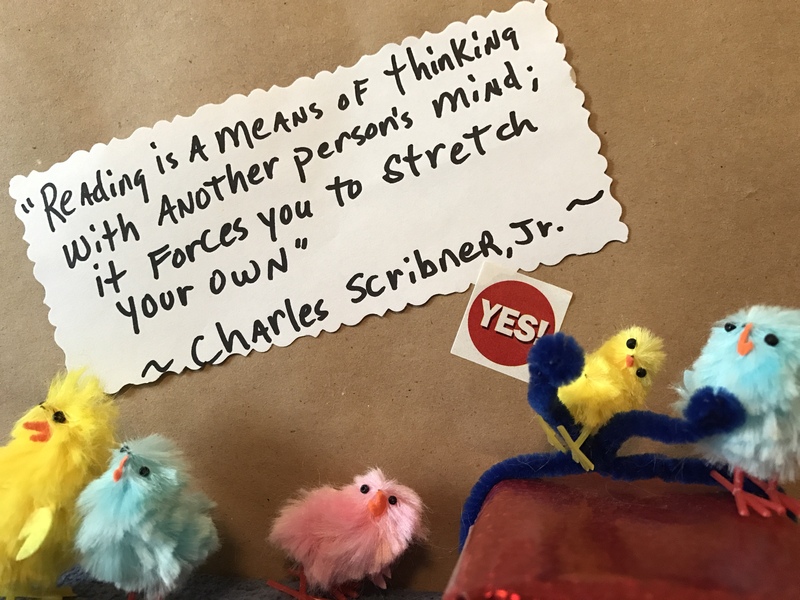 As a founding member of the Texas Rollergirls Rock-n-Rollerderby the author takes us on a wild ride, telling us how Roller Derby works, how she became involved, and some of the long, fascinating history of the sport. She takes us to the competitions, and also talks about her life when not on the rink. I like hearing about the names she and her team mates choose for themselves, and the fun and funky costumes they wear, too. All this takes place in Austin TX, and there are photos included. 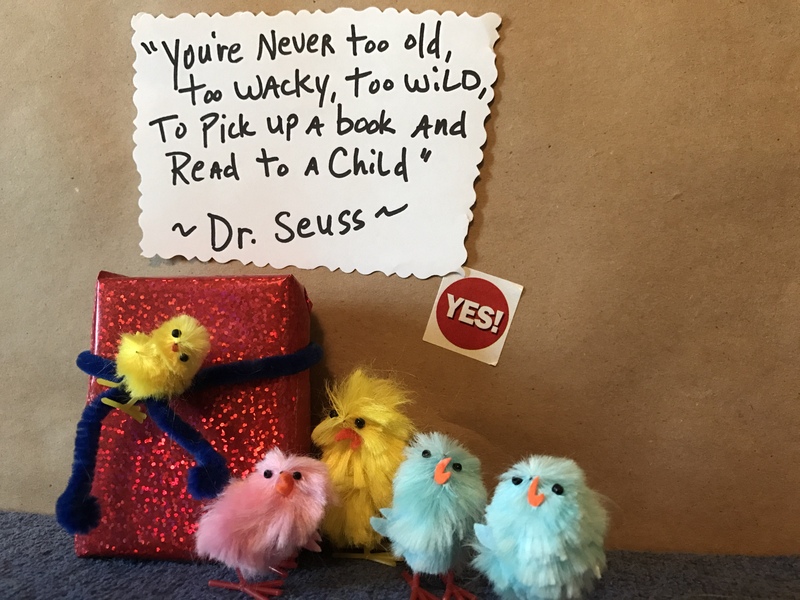 Join the MB Chickens tomorrow, and they will open the next book title box. 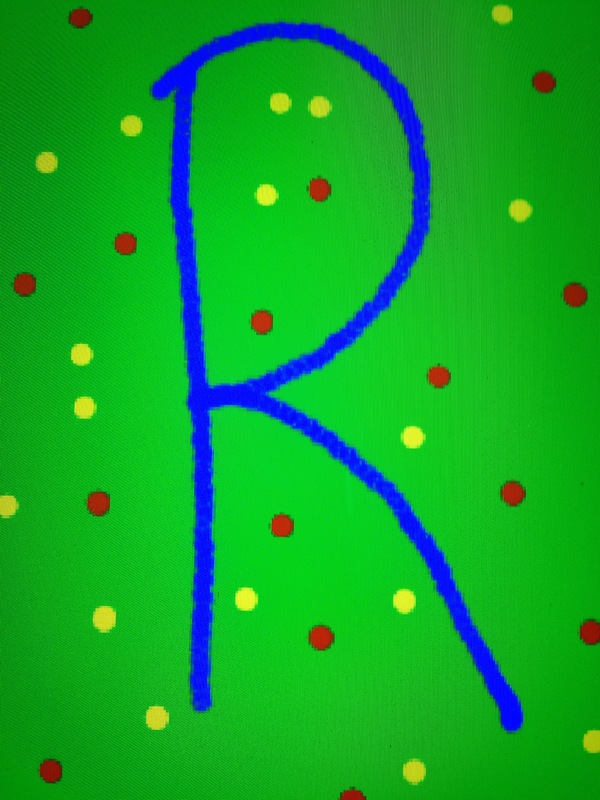 The letter of the day will be S.